Sharing about searching, searchers and running an SME. Always learning. 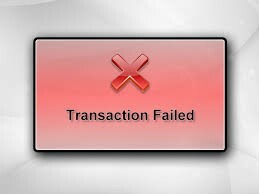 Having a transaction fall apart can be devastating in a number of ways to a searcher. Since it takes an average of 3.1 LOI’s, and many months, to get to closing (See blog post Getting to Closing), you can expect to find yourself in this situation multiple times during your search. With each successive failure, albeit painful, you have an opportunity to incorporate changes in your process, and thus improve the chances of getting to a final closing. Despite this silver lining, you can expect these setbacks to take a toll on you and those around you. Each failure will feel very personal. As it goes with most of your search process, knowing what to do is oftentimes not enough; you simply have to “experience” these failures to drive home the lessons. As CEO of the business you purchase, these “learning” principals will give you early practice and self-discipline around how to face, and circumvent, regular setbacks. Each deal is different, because the sellers are unique and their businesses are different. While the seller may have a “change of heart” any time in the process, one of the primary reasons for failure can be attributed to a mismatch between the financial fundamentals upon which your offer is based, and reality of what you “discover” through due diligence. It may be that the revenues and/or income are just not coming in as projected, add-backs are not “real” or inadequate reserves for bad debts, inventory or warranty claims. These misunderstandings generally lead to a re-opening of the terms of the LOI, and a request to reduce the purchase price. The critical barrier is emotional – the seller is intensely focused on the “price” and very reluctant to any suggestion of re-pricing the deal. Many sellers are downright offended by the “ask”, and since you typically need the seller’s help during the early stage of your ownership, this is not a trivial issue. What to do? Of course, you can always re-work the assumptions in your spreadsheet and attempt to “make it work” at the higher LOI price – a very dangerous precedent. You simply cannot afford to “over-pay” for the business you purchase; unlike a PE firm, you will not have a “portfolio” to balance off against. More importantly, the bank has seen this plenty of times before and will not support their prior commitment when they discover a softening in the financial results through due diligence. It is better to “face the music”, make a reasoned argument to the seller for a price reduction and let the chips fall where they may. Other considerations will also cause a deal to crater. Generally, these can be traced back to a rushed or poorly thought-through LOI. Adam Barker at New Forest says “Have you had all the difficult conversations you need to have before getting a signed LOI? What did you gloss over? It is uncomfortable but do, but it’s so much better to kill it fast than kid yourself.” Working capital adjustments, escrow hold backs, owner compensation during the transition, lease/buy back options and the legal wrangling around reps/warranties must be clarified in the LOI and, more importantly, clearly understood by the seller. It is much more challenging when the searcher has to kill the deal. You have no one to blame but yourself and there is often an element of “deal frenzy” as you lock your sights on a business you want to run and may have fallen in love with. The purpose of maintaining a robust process of developing proprietary prospects and brokered deals is to establish multiple deals that are in the IOI stage that can be used as a comparison to what you have under LOI. Having 3 or 4 “Plan B,C,D & E” alternatives in the wings and under discussion is critical in maintaining your objectivity while under LOI. While I feel that it is unethical to have two LOI’s active at any one time, becoming adept at putting IOI negotiations on “simmer” while you are “waiting” for additional information will keep each of them alive. Creative stalling tactics might include delays while lining up the bank financing, waiting for a legal/accounting opinion on some element of the deal or even some personal situation that has come up for you. Ahmed Makani at Arzoo says that “even using interns, it was still tough to continue to populate the top of the sourcing funnel because interns lost motivation when they see you working on an LOI.” Many searchers have overcome this by identifying a “lead intern” to maintain the discipline for both the other interns and you while under LOI. The longer the time that you are under LOI when it goes bad, the harder it is on your emotional state. Jake Nicholson from Danville Capital reports that he was “devastated the second time, because I had spent so much time, effort, emotion, and thought on that deal”. To handle these “lows” in your search you will want to reach out to other searchers who you have been cultivating as advisors. Most of them have had similar experiences and can share their own methods of coping. Your significant other can be another source of support. One searcher spouse told me: “I wanted to murder the lawyer for the seller for putting my husband through such pain!” Andrew Mondi at Lyndhurst Capital found, however, that sharing every detail of the sad story, and telling it over and over compounded the “dwelling period”. Tyler Hogan and Mike Donovan commented that “after a week, we felt right about what happened”. Others use the opportunity to take a break, in one case, for a month, keeping the interns occupied, but stepping away from the phone and email to refresh and re-energize. World champion athletes learn that being able to recover quickly from a setback is critical; being ready for the next ball after quickly assessing their past mistakes keeps them at the top of their game. Determine if there was something about the seller that you should have seen or expected from early dialog. Ascertain what additional financial information you should have asked for earlier in the process. Review the LOI document to see if there could have been more up-front work that would have yielded an earlier decision. File these ideas away, tune your process as necessary, and prepare to move forward. Don’t overly obsess. While hope is not a strategy, a “dead deal” may resurrect itself if, or when, the seller changes their mind about the particular issue or detail that they were objecting to. More than a few searchers have reported that an earlier discussion with a seller comes back into play as time goes on and can proceed to a closing. It is important during the “wind down” of a dying deal to let the seller know that if you are still searching and they change their mind, you will be willing to speak with them. Set the stage at this point that there may have to be an adjustment in terms or price based on “market conditions”. Too often, conditions will have changed for the worse and the seller is expecting the deal to remain the same. Best to head those expectations off early in the process. Regularly reach out to them while you are still searching. It is difficult to see an LOI die, but is a necessary and expected part of a larger process. Each small failure is a great opportunity to refine your process, establish better criteria for evaluating the seller’s intents and what should go into your next LOI. Finally, it is critical to keep your prospecting efforts moving forward while in due diligence in order to recover quickly if you have to abandon your current deal. Feel free to share some of your own best practices or experiences in dealing with these issues in the blog comments. I encourage comments and dialog, allowing all to learn from both my views and the views of others – a virtuous learning cycle. Jump right in! I regularly update individual blog posts, add to the Reference section and Search tips, so visit the www.jimsteinsharpe.com website regularly. Why Search? Is it right for you? Choosing a search partner – or not!